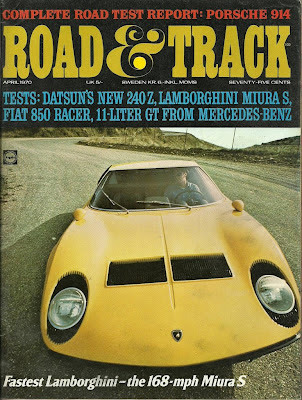 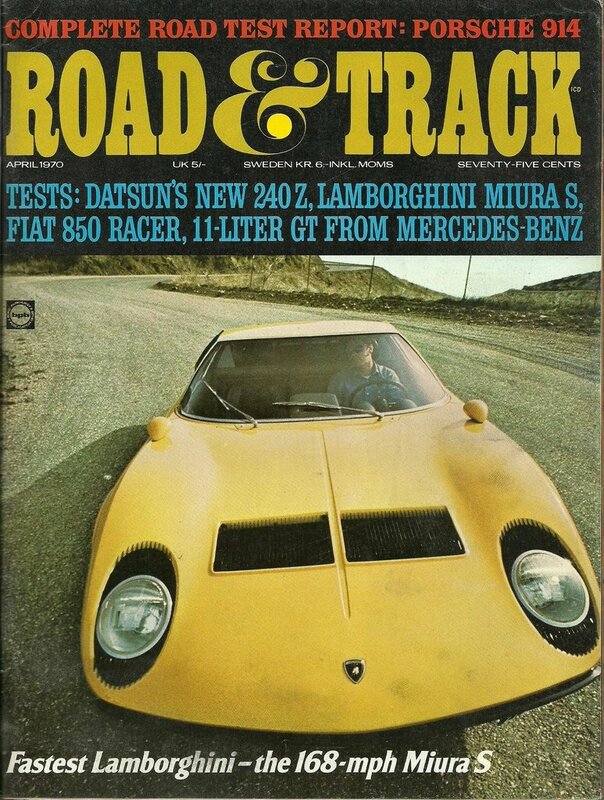 "I found a stack of 15 Road And Track issues for 4 bucks at a local Half Price Books. 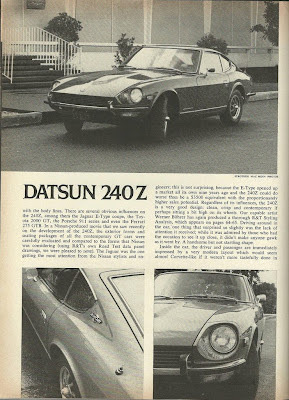 This one happened to be on top, which is convenient since the Miura is my favorite car of all time, and the 240Z is pretty high up there on my list too." 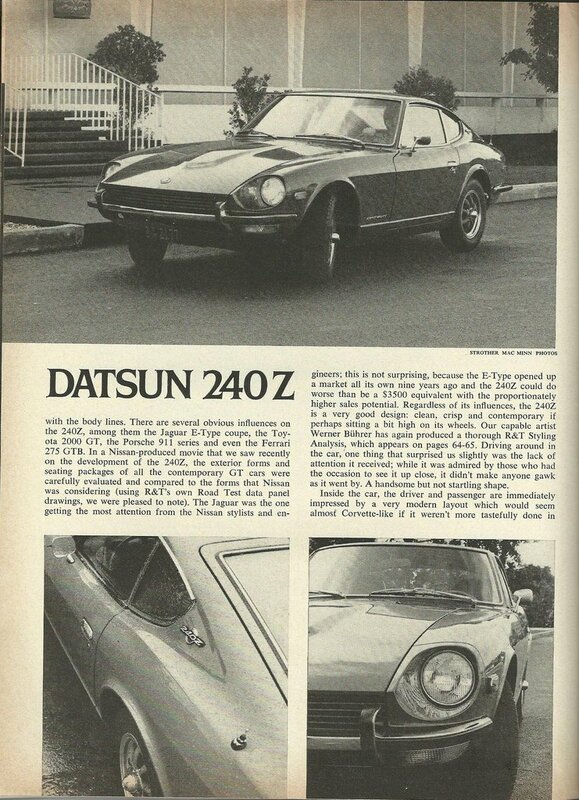 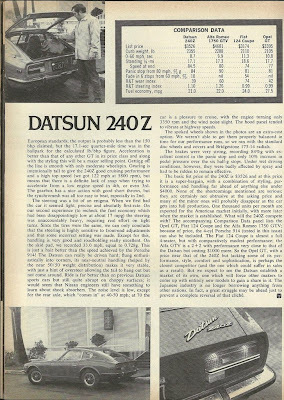 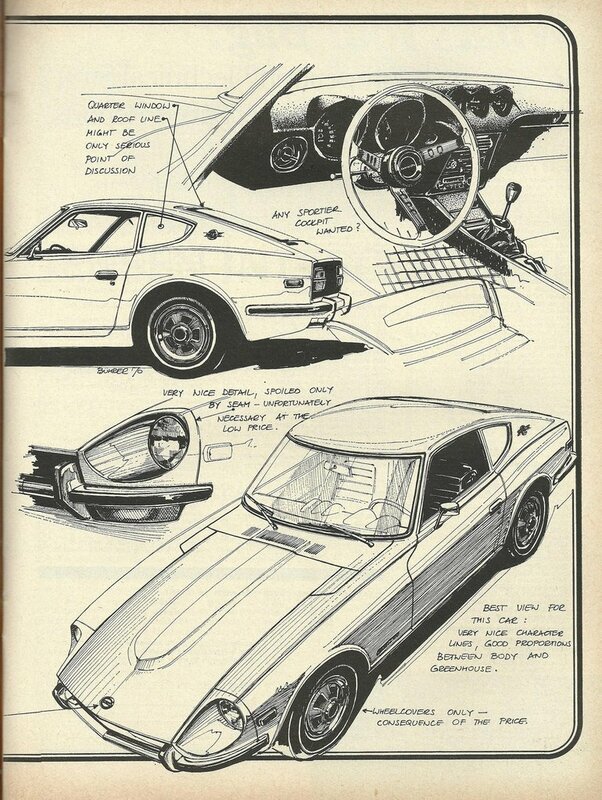 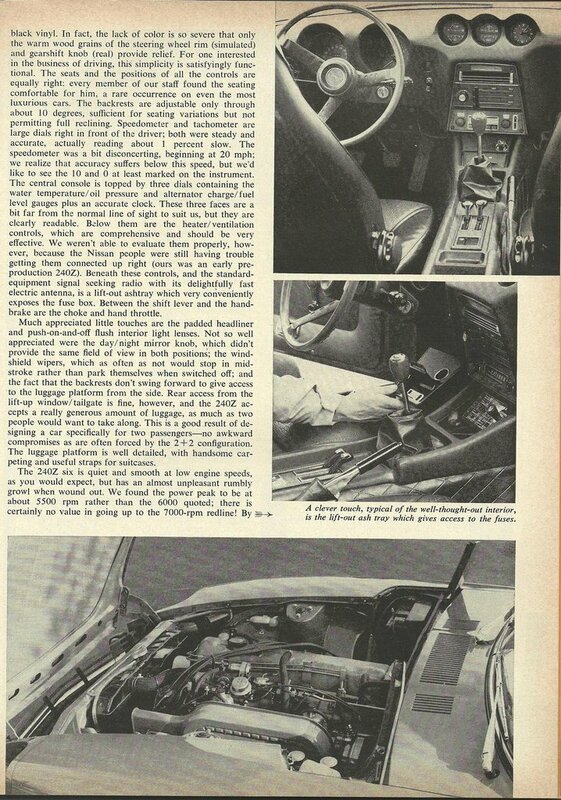 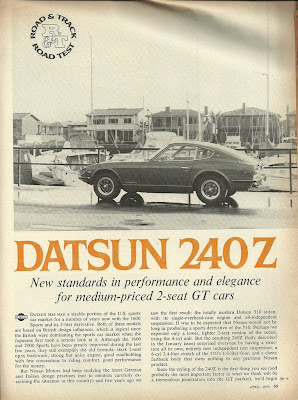 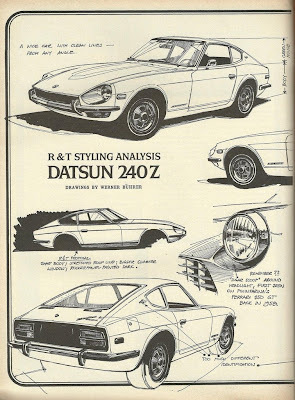 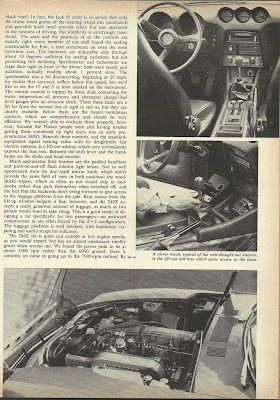 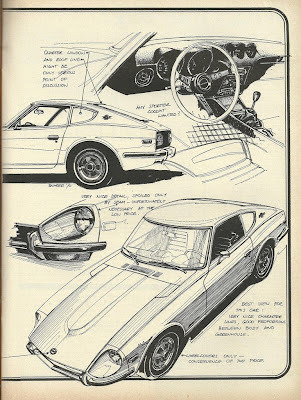 After spotting his find, just had to share this stunning Datsun 240 Z featured in the April 1970 issue of Road & Track magazine where they test the "New Datsun 240 Z". 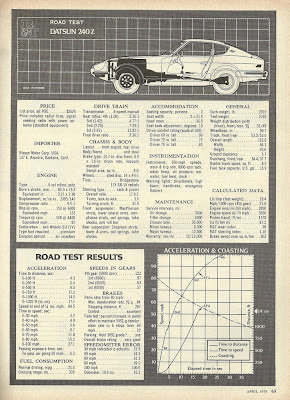 Click the photos for a larger view. 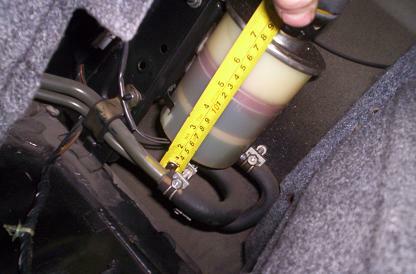 Interesting to note the original list price of $3,526. 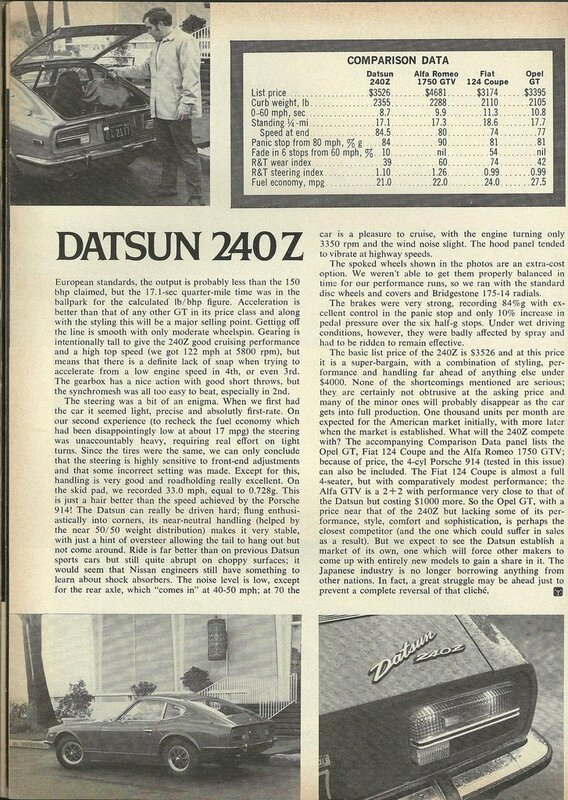 Which extrapolated for inflation, would be the equivalent in todays' dollars of: $21, 156.